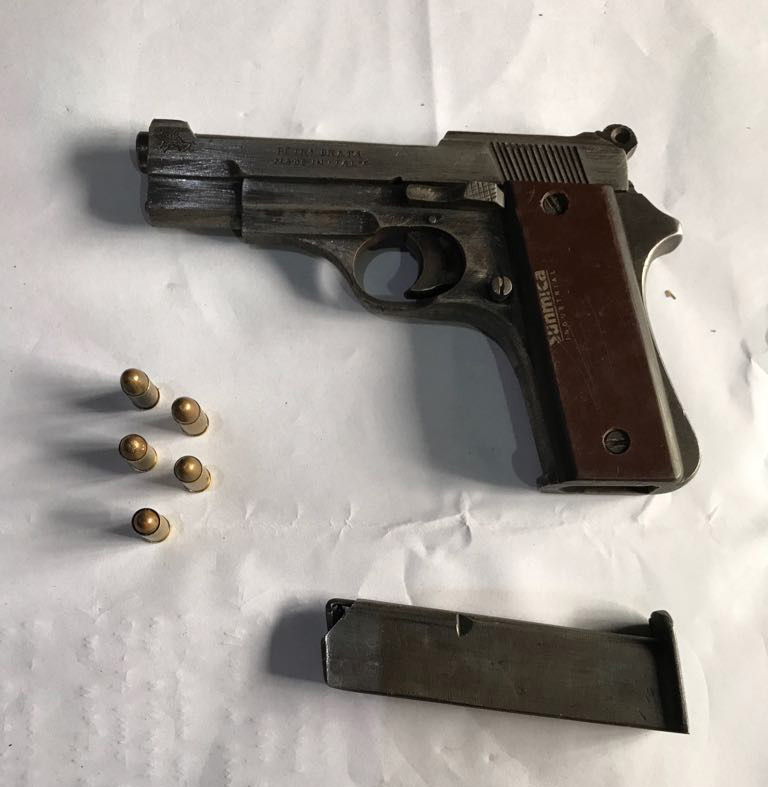 Another illicit factory uncovered producing automatic pistol copies typical of the region. 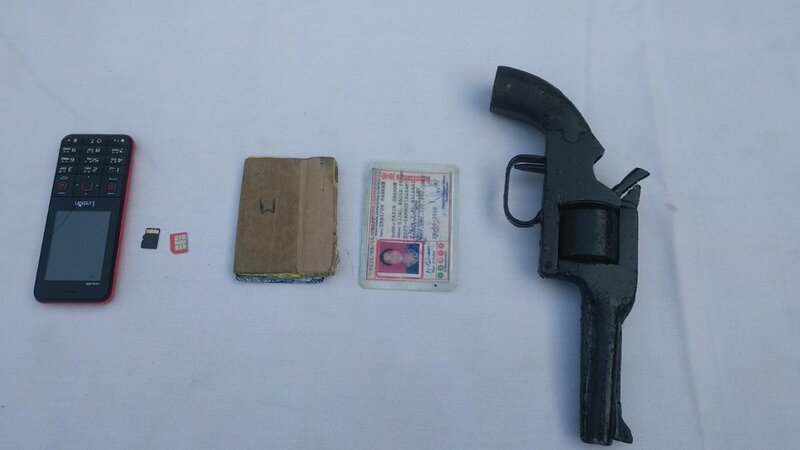 This is part of a growing trend towards more advanced criminal arms production in India. “Acting on a tip off, Kolkata Police’s Special Task Force (STF) apprehended three persons while dealing in Fake Indian Currency Notes (FICN) and illegal arms on Monday. 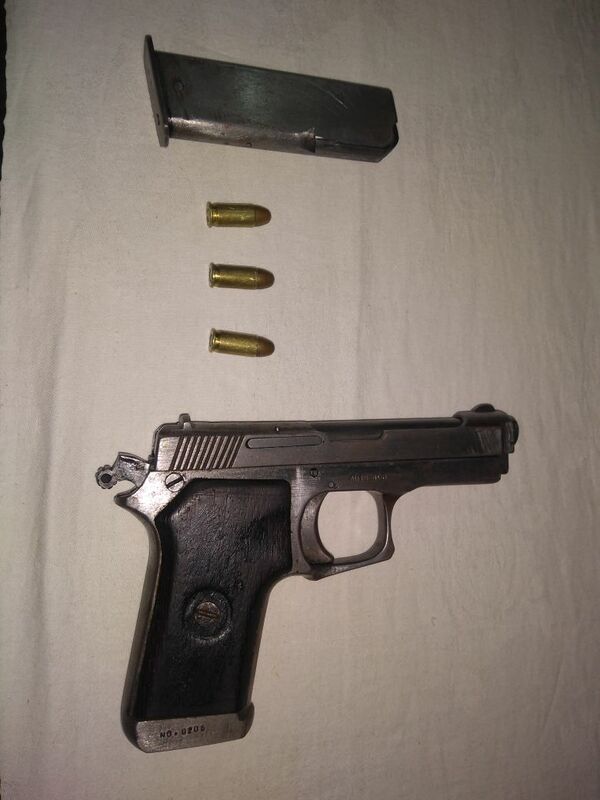 In the process, they also busted an illegal arms unit in Barackpore. Three persons – Suku Sheikh, Md. Amjad Rayeen and Md. Abdullla were apprehended by the FICN team of STF from Maidan Police Station limits. 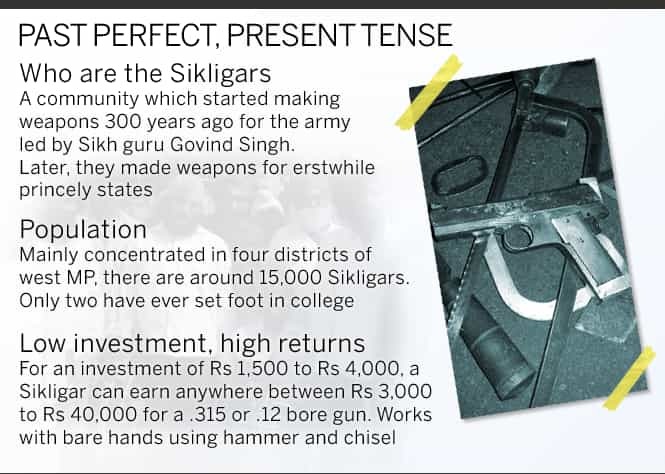 As many as 40 semi-finished improvised arms and fake notes worth worth Rs. 1 lakh was seized from their possession. However, this was just the tip of the iceberg. 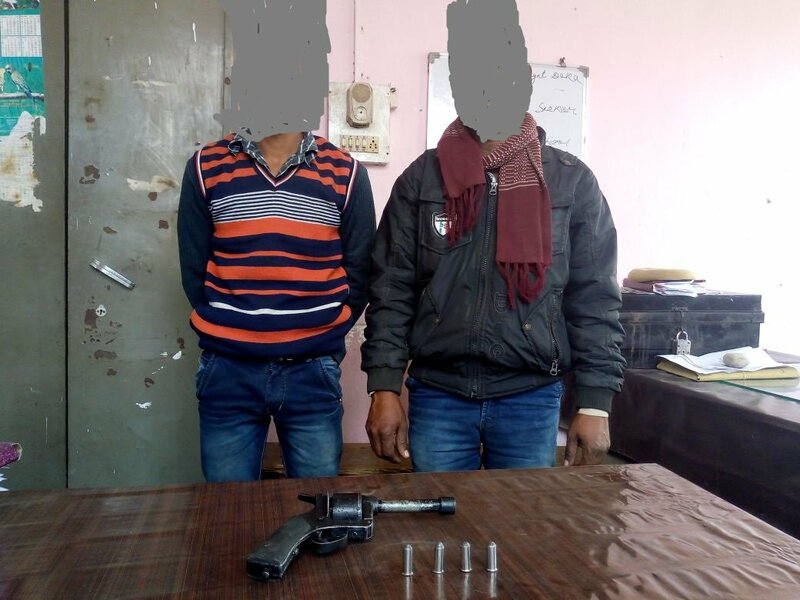 Further questioning and examination of these three arrested led investigators to an illegal arms manufacturing unit at Jaggatdal under Barrackpore Police Commissionerate. 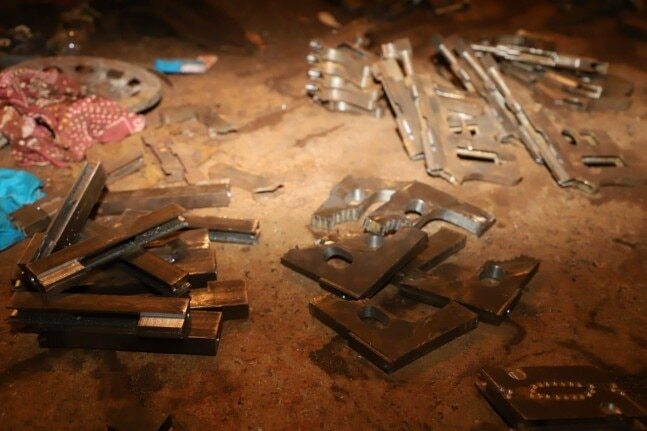 Investigators unearthed this illegal arms manufacturing unit where 20 semi-finished improvised arms, drilling machine, lathe machine, raw materials and equipments were recovered. 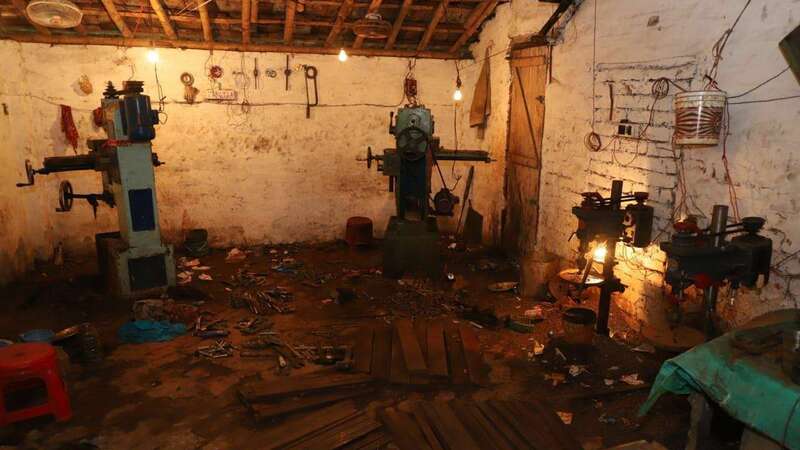 Six others who were working at this manufacturing unit were also arrested. This entry was posted in Semi auto pistols and tagged country made pistols, country made weapons, DIY, firearms, Ghost Guns, gun control, homebuilt guns, homemade guns, homemade pistols, illegal firearms, improvised firearms, India, Munger pistols on August 7, 2018 by ImproGuns. 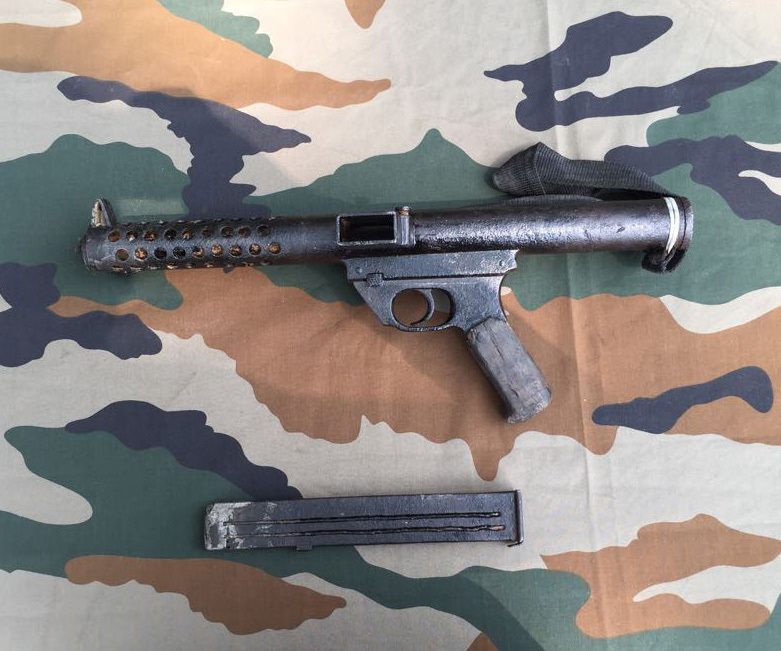 An illegally made loose copy of the 9mm Sterling submachine gun used during a shootout between a gang and police last month in Rautahat. 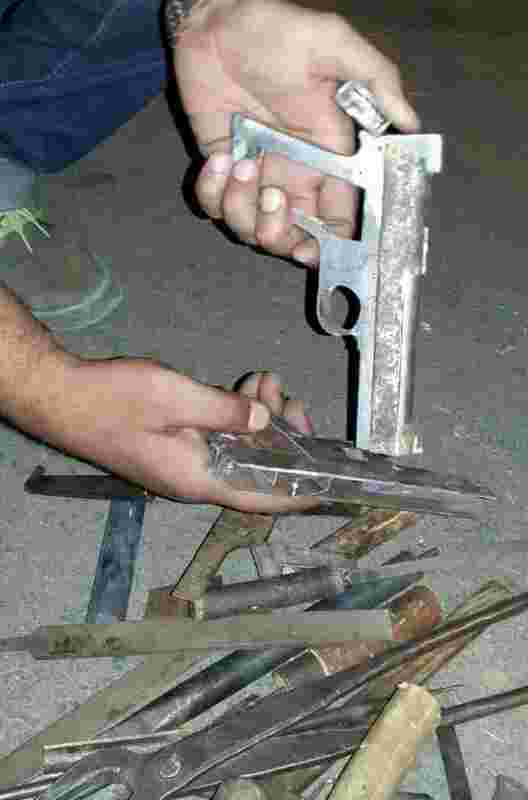 A number of these have showed up in Maoist arms caches. Sometimes refereed to locally as a ‘desi sten’. 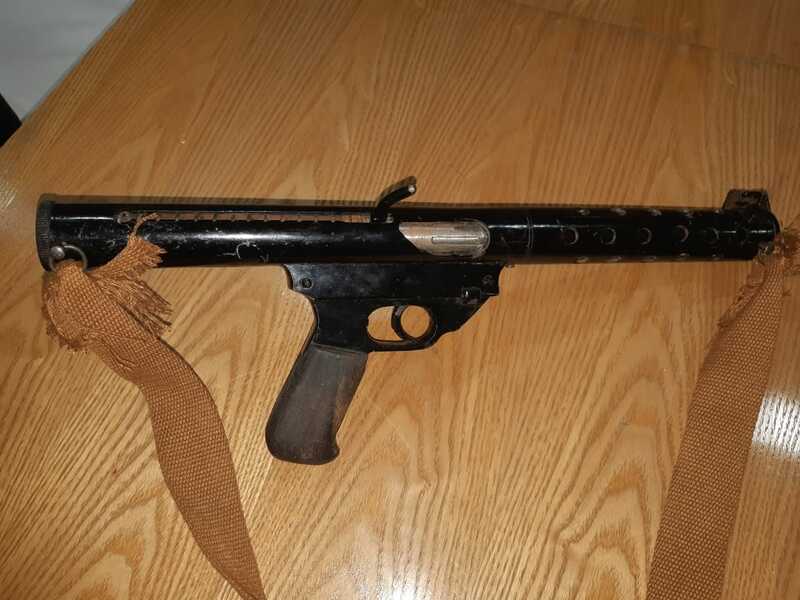 This entry was posted in Submachine guns and tagged crime, Desi Katta, Desi sten, DIY, guns, homebuilt guns, homemade guns, homemade SMG, homemade submachine gun, homemade submachine guns, illegal firearms, India, Nepal on July 22, 2018 by ImproGuns. 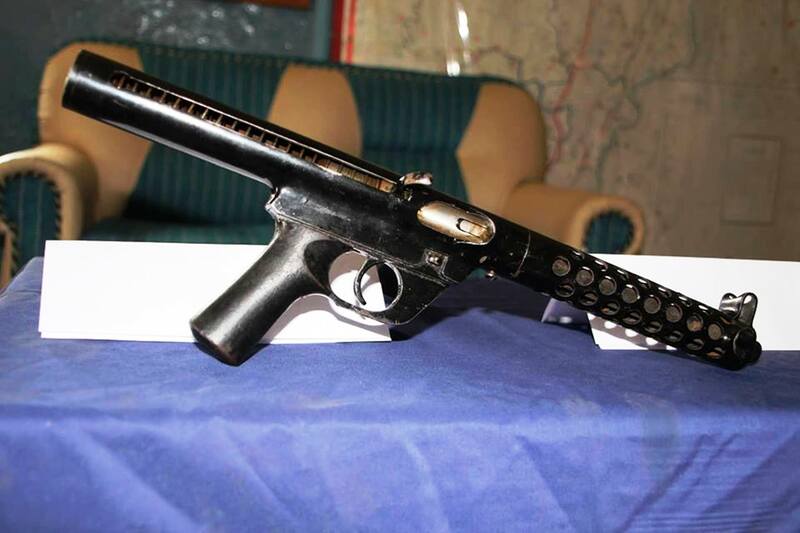 A number of ‘Sterling’ type submachine gun copies have surfaced in recent arms seizures by Indian authorities. 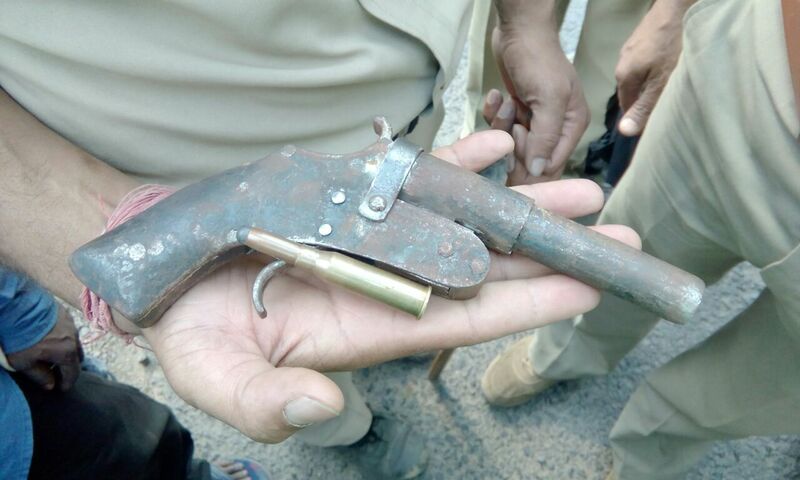 The British 9mm Sterling is still used by the Indian army and police so no doubt familiar to the country’s many underground gun makers. 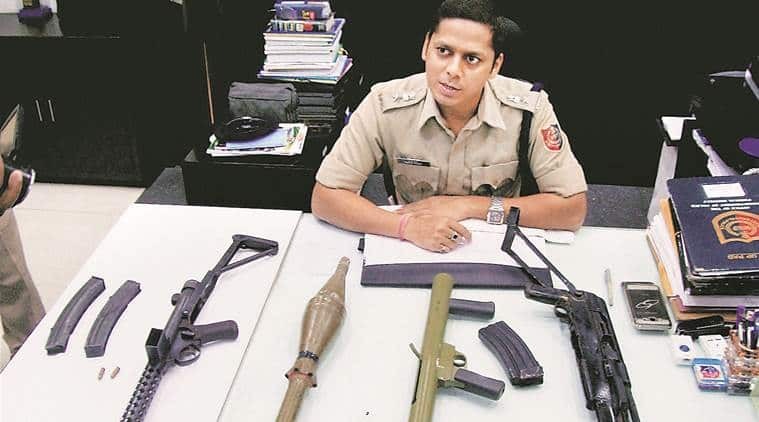 Above: Locally made firearms (Left-to-right): Craft-made ‘Sterling’ type SMG, two .32 automatic pistols and two 30 bore ‘katta’ pistols. This entry was posted in Uncategorized and tagged Desi Katta, firearms, gun control, guns, homebuilt guns, homemade firearms, homemade gun, homemade guns, homemade SMG, homemade submachine gun, homemade submachine guns, India, katta on April 6, 2018 by ImproGuns. 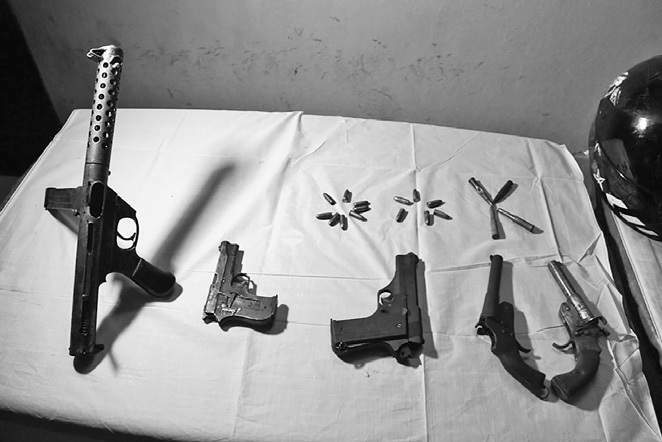 Pictured are various locally craft-produced pistols recently seized by the Eastern Command of the Indian Army. Some are widely seized indigenous models while others may possibly originate from Pakistan or China. 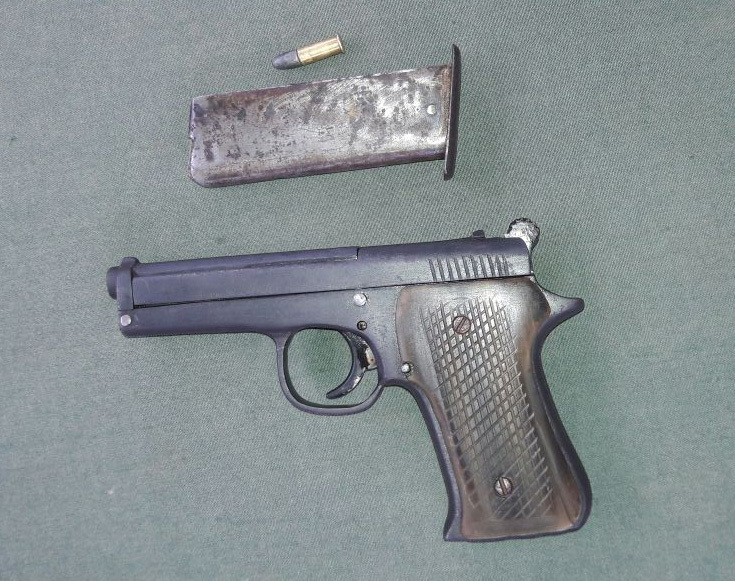 Above: An example shown alongside improvised .22 rimfire ammunition, a trait more typical of pistols produced by illicit gunsmiths in China. 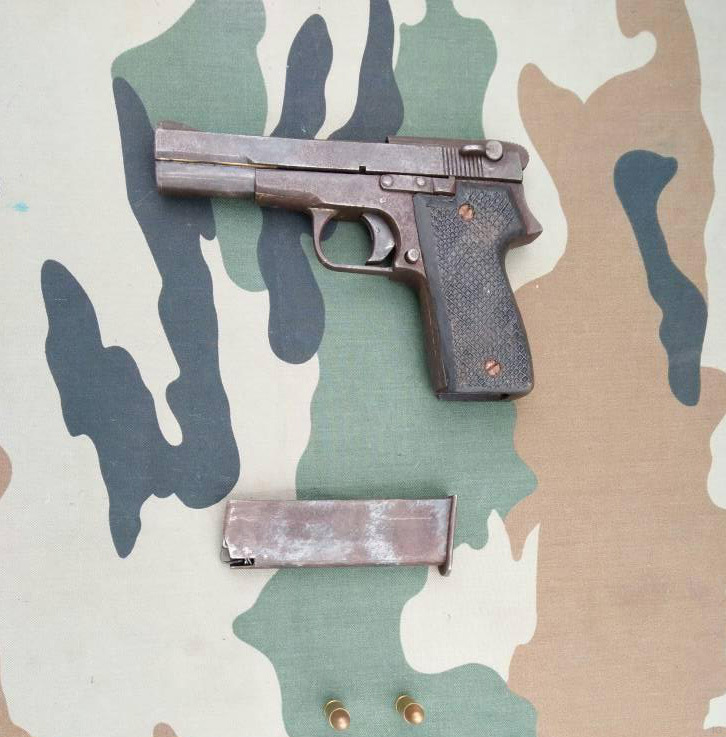 Above: A widely seized design of semi-automatic pistol produced by gunsmiths mainly in Uttar Pradesh. Along with very bad attempted Beretta markings the laminate flooring company’s logo is still visible on the grip panel. Above: Note the serial number stamped below the grip panel which judging from the low number could possibly be for the maker’s own reference rather than inflated. Above: Telltale brazing marks on the slide and frame suggest multi-part construction of main components. 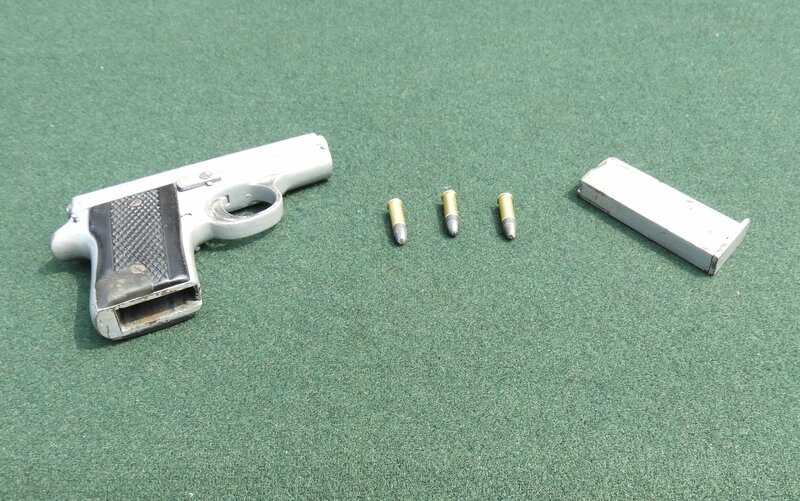 This entry was posted in Semi auto pistols and tagged DIY, gun control, homebuilt guns, homemade, homemade firearms, homemade pistols, homemade semi auto pistols, illegal firearms, India, Indian homemade pistols on March 2, 2018 by ImproGuns.